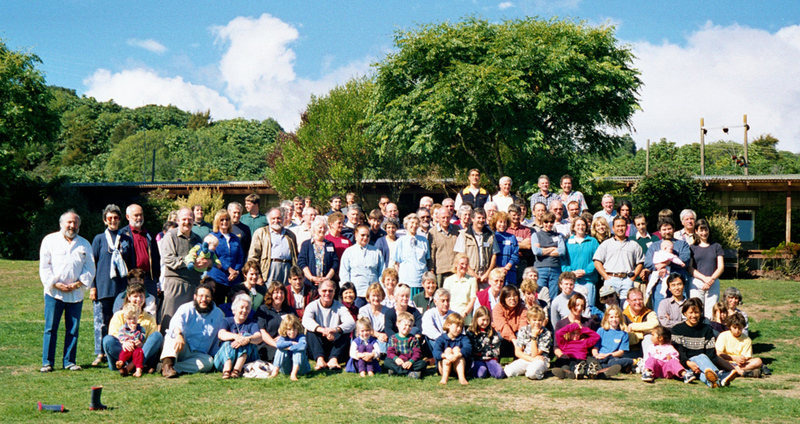 In April 2001 Mottel went to New Zealand to co-teach with Dr. Arnold Fruchtenbaum of Ariel Ministries at a week long Bible Study Camp for Jewish and Gentile believers. Yes, believe it or not, there are Jewish communities in each of the major cities. This trip was sponsored by believers in Auckland. One of their concerns is a recent trend in the 'Messianic Movement' of Jewish people who have come to faith in Messiah Jesus. There is a confusion over Law vs. Grace among some, with the sad result that many are involved in the 'legalism' of mandatory Mosaic Law observance. So, Arnold and I, 2 Jewish believers, were able to clearly teach that one can be both a Jewish believer in Messiah, having a healthy sense of our identity as Jewish believers, and fully embrace the Freedom & Grace that is found in the finished work of Messiah. We had over 90 students. Mottel taught 10 one hour classes over a five day period on 2 subjects: "Understanding the Bible through Understanding the Covenants" and "The Jewish People in the Book of Romans". Dr. Fruchtenbaum taught 12 hours on "Life of Messiah". The study camp was a great blessing to all. Mottel Baleston teaching "The Jewish People in the Book of Romans"
Friday Evening Dinner - Shabbat Shalom ! Tony & Diana Woods who were gracious hosts and arranged the conference. Sam & Robin invited us to climb 'their' mountain, Rupeahu. The brave souls are Mottel, Sam, Neville, Gillian and Clive with Robin at the camera.